Laravel is an open source PHP framework that is available as a free download. It is one of the most popular PHP frameworks, even though it was released fairly recently. Laravel follows the model-view-controller (MVC) structure. All the code is structured in the right manner and in the form of modules making it easy to use. PHP is now used for more than 70% of the websites online. Although it is not necessary to use a PHP framework to develop a PHP website, there are many advantages of doing so. In general, a PHP framework speeds up the development process, offers more flexibility for database connectivity also forces good programming practices. – Just about any website requires some level of maintenance. It does not matter how big the website is or how small for that matter. Having a modular structure makes maintenance easy. – Website design trends change every year; hence it may happen that you want to change the look of your website once in a while. – At the same time, there are also changes in technology with new features that can be implemented and hence those too require maintenance work which is easy in a module structure. – If something needs to be added to the website, again having a module structure makes it easy. – Laravel follows a set module structure and hence the coding is independent of any programmer. Thus the customization or maintenance work can easily be done by another PHP developer without having to study the website code in detail. – Laravel follows the module structure and hence any updates that need to be made does not affect the entire website. The individual modules can be updated. For example, if there is an update in authentication module for better security, only the authentication module will be updated and be remaining of the code remains as it is. The new features of the updated module can be automatically implemented in the website with minimal code change. – With modular programming, there are usually fewer bugs and hence lesser maintenance required. – If some recoding is required due to maintenance, the testing is easy with the modular style of coding. Alakmalak is a web development firm that has been involved in Laravel application development since a very long time. Alakmalak develops all types of websites like content management systems, eCommerce websites and also involved the development of custom websites. 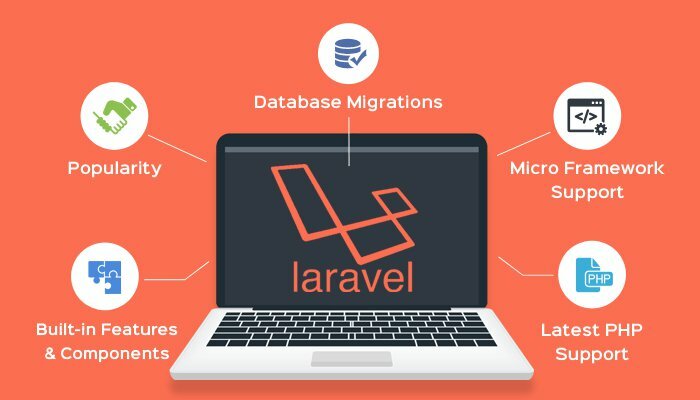 They have a big team of dedicated Laravel Developers with a great deal of experience and expertise to help with the development of any website.